The newest new future of computing is floating your way. Lie back on the grass and enjoy. It is The Cloud. Not the corporate Cloud that is the trademarked provider of Wi-Fi services in Europe. But the broader Cloud that is the internet. The World Wide Web. The electronic blanket that invisibly but none-the-less completely shrouds us all. The cloud. We are exhorted to upload it to the cloud. Store it in the cloud. Share it through the cloud. Download it from the cloud. Your photo albums and your diaries and your work product and your deepest darkest secrets are slowly migrating from your computer to for-profit warehouses that promise safekeeping for your life’s work and memories. Even our medical records are going to wind up in the cloud. And because they are in the cloud, they are theoretically available to me or to those I authorize to viewse them – anywhere in the world. Instant access. Anywhere. Safety. Security. Total redundancy and backup. What else is in the cloud? The apps that power our smart phones. The programs that power our computers. Our phone calls. Our video streams. The social media that passes for communication. All are drawn from and sent back out through the cloud. And as long as you have great wi-fi service or five bars on your cell phone, you will always have access to your stuff, Right? Well, let’s assume I pay my bills. And the company that provides my stairway to the cloud does not go out of business, suffer some catastrophic system failure, or think that I am using more than some arbitrary limit on my usage they may have placed. What happens if I produce work that is “objectionable” or becomes problematic to a host or government? Will I still have access to my stuff in the cloud? The Blackberry devices are terrific for sending secure data. That is why they are often devices of choice for Medical Professionals. However precisely because certain governments can’t see into the data, that high level of encryption is turning into a financial liability for Blackberry. For instance -The United Arab Emirates threatened to ban Research In Motion and its Blackberry communication devices, presumably because of this high level of data security and encryption. Good news for the company, though. At the last minute there were negotiations, something happened and not only has UAE reversed course to allow Blackberrys in their country – but they struck a deal with RIM for a number of valuable contracted government services. Hmmmmm. OK, let me see whether I understand this. In this day and age governments (ALL governments, including our own) want the ability to snoop. So, while encryption is good, too much encryption is not good. 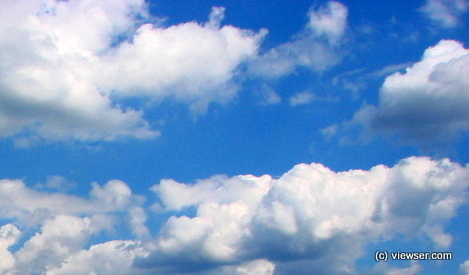 Yes, cloud computing is here. It is cheaper and more convenient both for the user and for the centralized snooping and censorship practiced by most of the world’s governments. And, it has been shown governments can and will shut off access as an instrument of public policy. Unless you are a sublimely elegant (and careful) hacker, you probably will never be guaranteed free-flow access to the cloud. Actually, let’s be clear. It is not a cloud. There are holes in clouds. Blue skies shine through. And there are days when there isn’t a cloud in the sky. What we are really talking about is a grid. A blanket. A network. A web. With access points and choke points and protocols and control. Nothing nearly as ephemeral as a cloud. So be careful with your own stuff. Keep copies. You never know which way the wind is going to blow. Loved it. The clouds of deception are the cruelist…great blog!